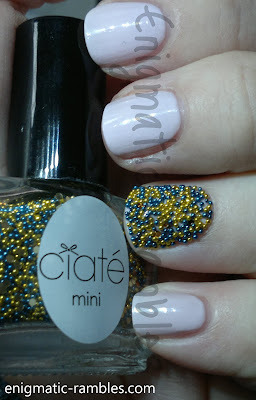 Behind the first door of the Ciate Mini Mani Month Calender is Sundance which is one of the caviar pearls bottles. 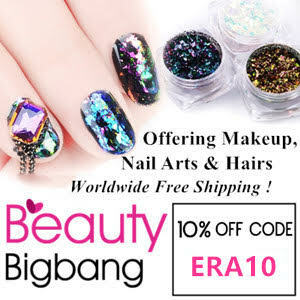 Little odd option for the first polish but nothing you can't work with if you are already have a polish in your stash. 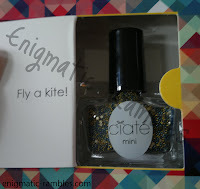 Also, whats with the 'fly a kite' message! It's freezing outside and if you tried to fly a kite I imagine it would turn in to a disaster. I am starting my countdown today as it is officially 25 days today until Yule! 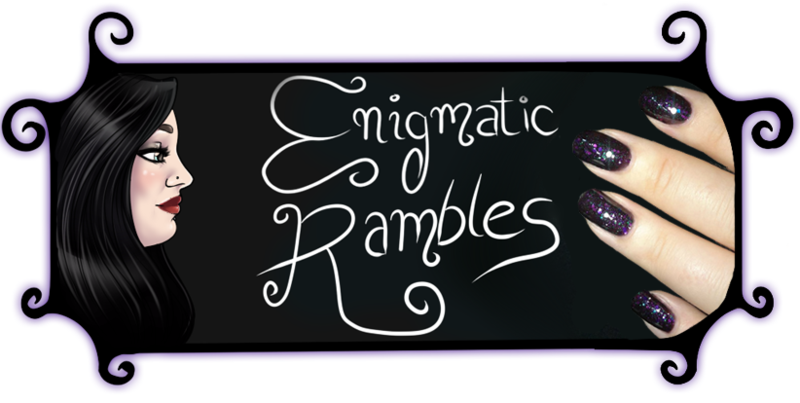 Hopefully I will be doing a post similar to this for each day of the mini mani month calendar. 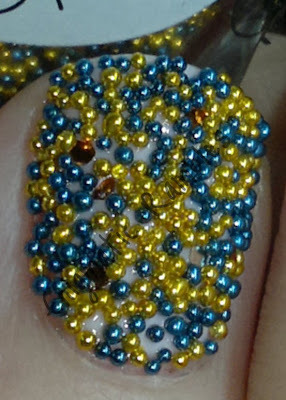 Colours: Teal Blue and Golden Yellow steel balls with hex shaped glitter, in silver and orange. I actually don't really like the hex glitters, they just don't really work with the balls. They stick to the sides of the bottle making them difficult to get out, they gather in the lid too. Struggle to stick to the nail as well because of the shape of the balls getting in the way. The blue and yellow work well together though. Well it is windy but it has done nothing but rain recently. Lol!